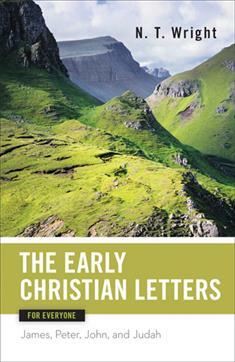 < p> In this penultimate volume of the New Testament for Everyone series, Tom Wright explores the early Christian letters, also known as the general or catholic epistles. These letters include James; first and second Peter; first, second, and third John; and Jude. N. T. Wright talks about The Early Christian Letters for Everyone and the New Testament for Everyone series on WJK Radio with Dan and Jana. To listen, click here.